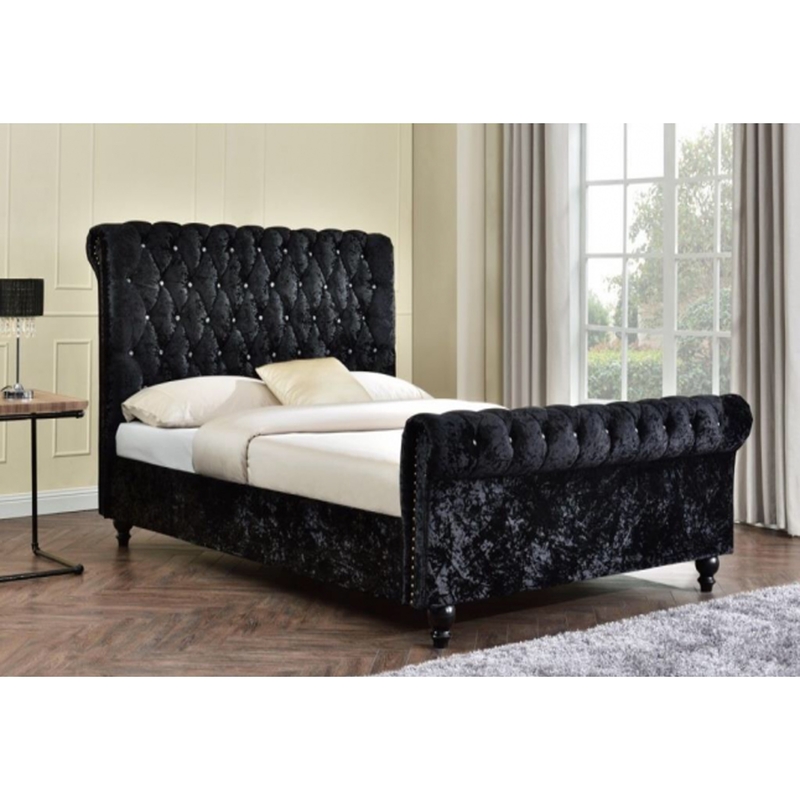 This stunning Chesterfield Velvet Bed. With a stunning crushed velvet fabric on the front and back of the headboard with crystal detailing , this bed is an ideal focal point of in a variety of bedroom settings. Hand crafted from natural materials , this bed will impress across generations.